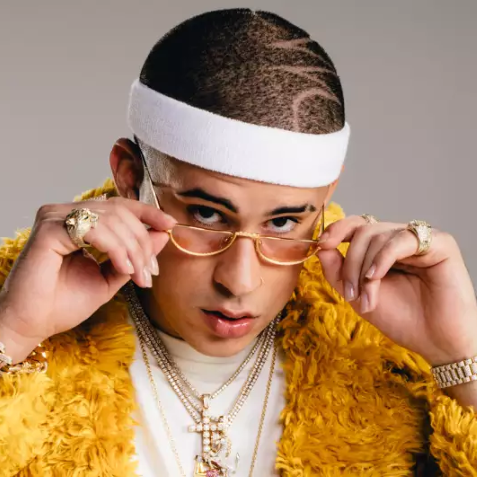 Bad Bunny is a Puerto Rican singer, rapper, and producer based out of San Juan. Emerging in 2016, he quickly rose to national success on the strength of his early singles and soon signed with Hear This Music, an agency owned by fellow Puerto Ricans DJ Luian and Mambo Kingz. Appearances with Ñengo Flow, Arcangel, and Ozuna soon followed, and in early 2017 he kicked off an especially prolific run with the singles "Pa Ti," "Loco Pero Millonario," and "Dime Si Vas a Volver," amid numerous collaborative tracks with acts like Poeta Callejero, Farruko, Brytiago, Almighty, and others. In late 2017, Bunny, J Balvin, and Prince Royce scored a hit with the collaboration "Sensualidad." The singles kept coming in 2018, notching another Latin hit with the solo track "Amorfoda," and Bunny worked again with J Balvin and American rapper Cardi B on her single "I Like It," which topped Billboard's Hot 100 in the summer of that year.